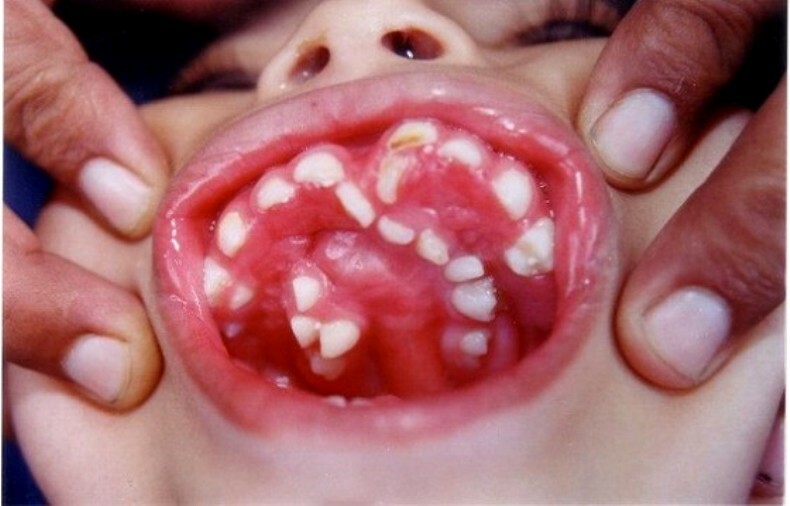 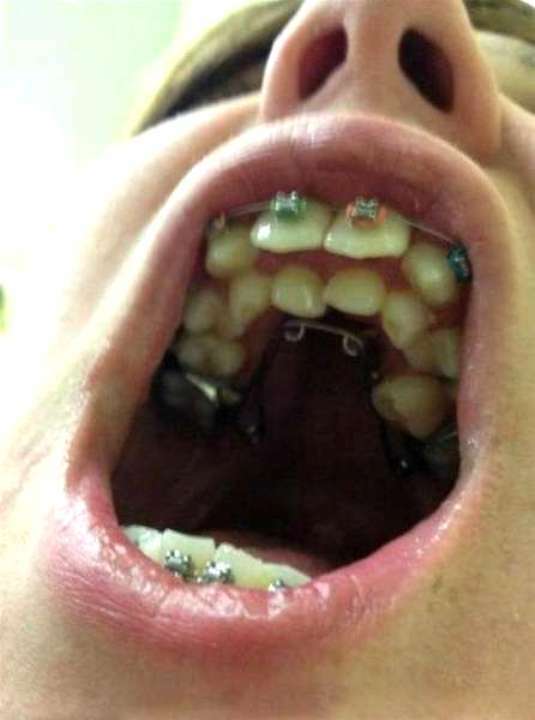 Hyperdontia: the presence of extra (supernumerary) teeth. 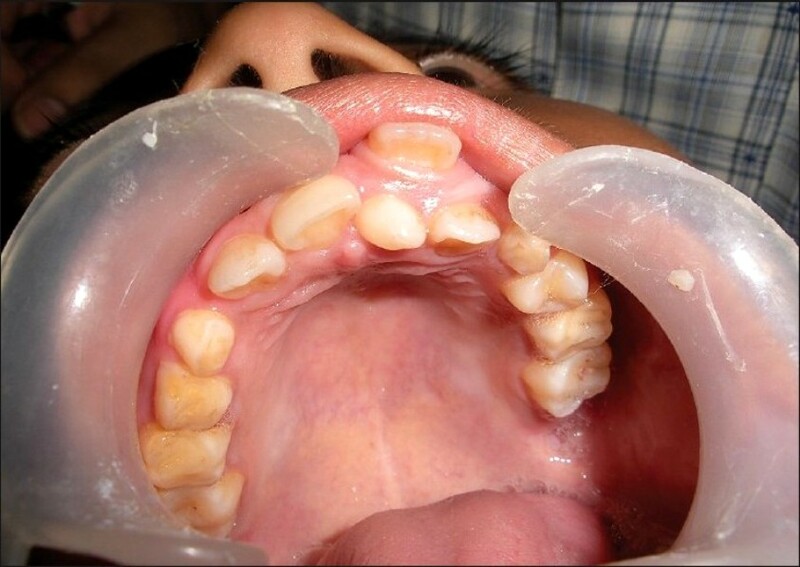 Below are examples of mild cases, and examples of extreme cases. 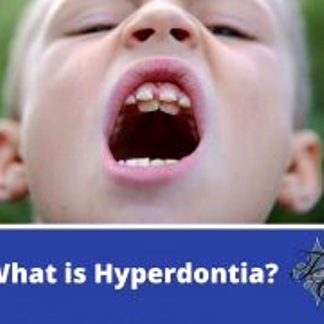 Hyperdontia is the condition of having supernumerary teeth, or teeth that appear in addition to the regular number of teeth. 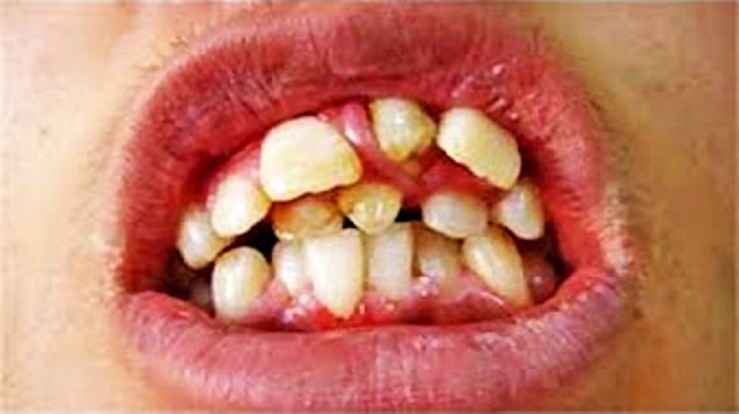 They can appear in any area of the dental arch and can affect any dental organ. 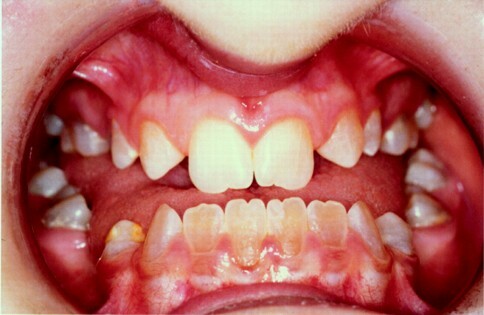 There is evidence of hereditary factors along with some evidence of environmental factors leading to this condition. 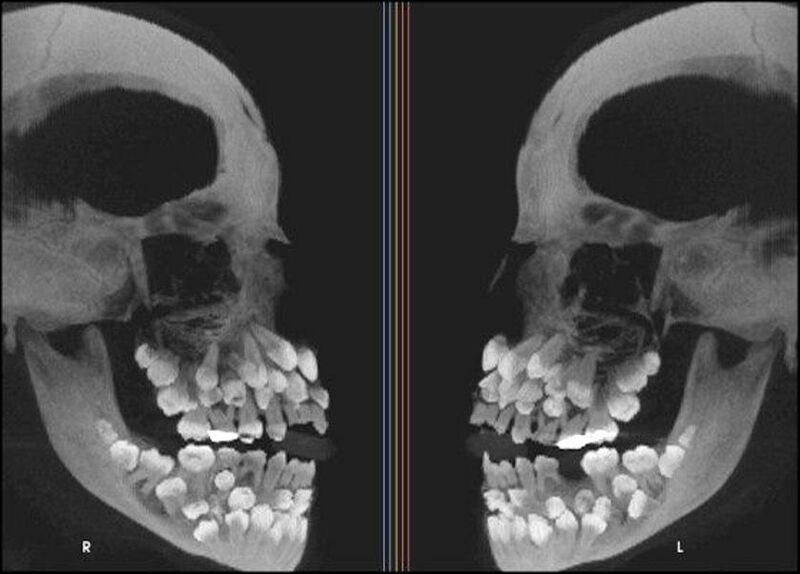 While a single excess tooth is relatively common, multiple hyperdontia is rare in people with no other associated diseases or syndromes. 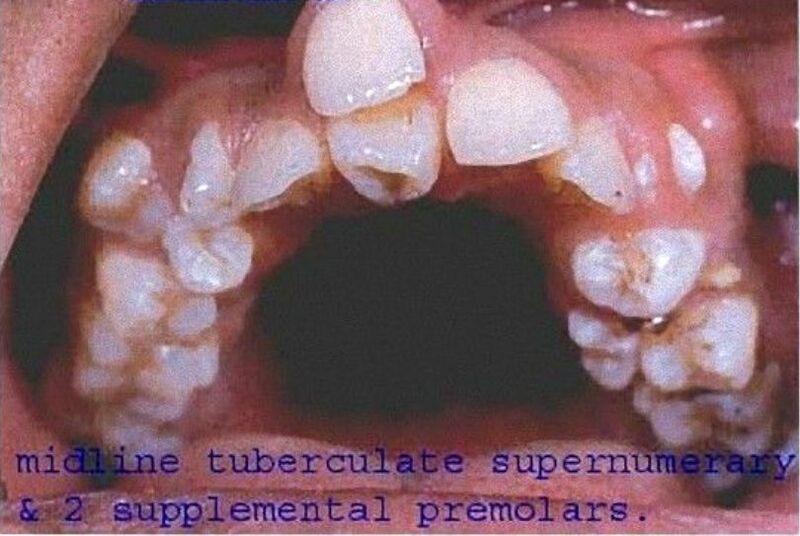 Many supernumerary teeth never erupt, but they may delay eruption of nearby teeth or cause other dental or orthodontic problems. 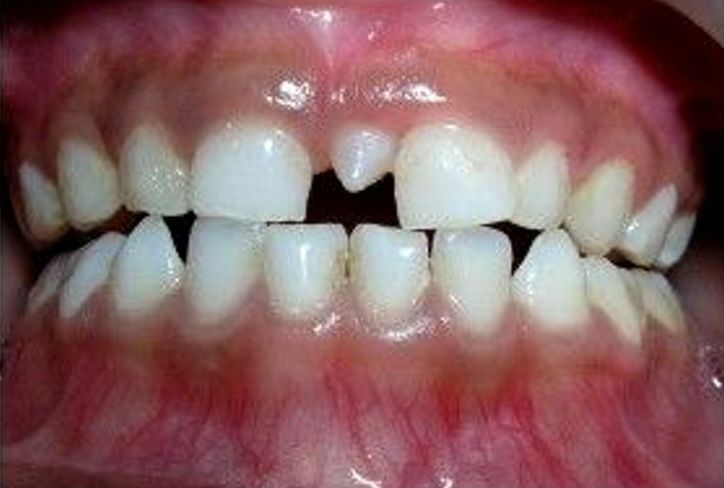 Molar-type extra teeth are the rarest form. 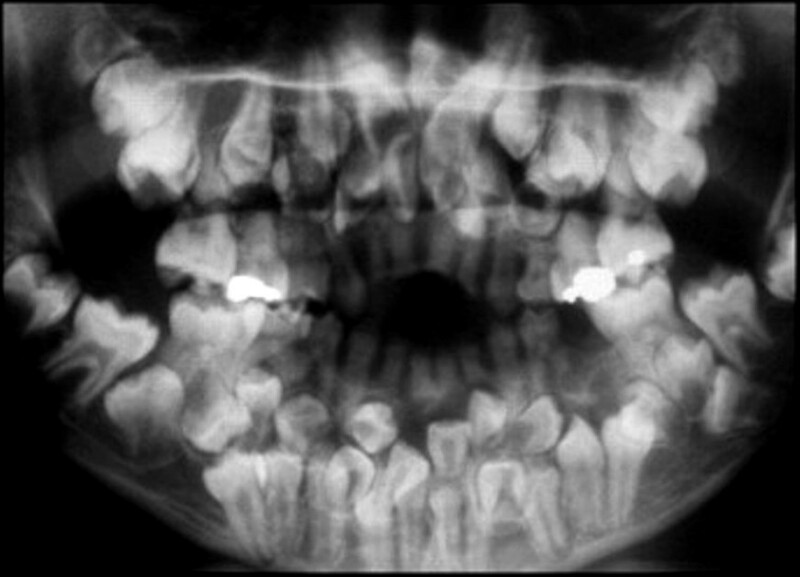 Dental x-rays are often used to diagnose hyperdontia. 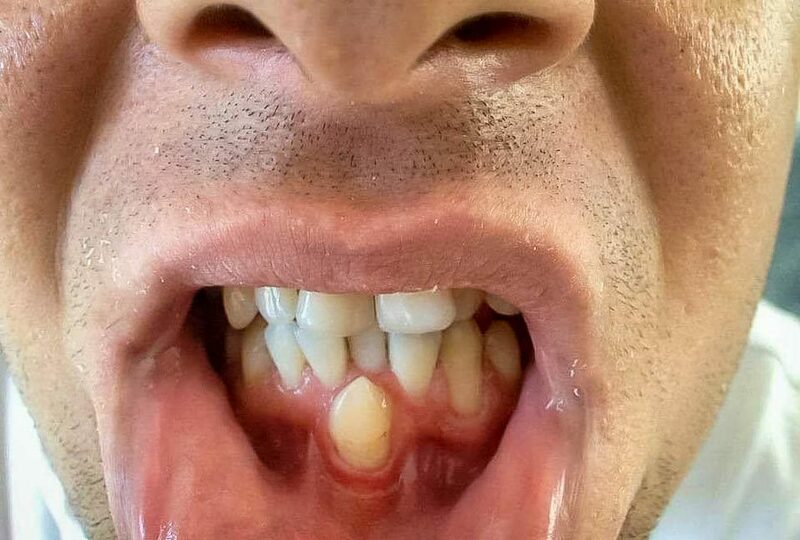 It is suggested that supernumerary teeth develop from a third tooth bud arising from the dental lamina near the regular tooth bud or possibly from splitting the regular tooth bud itself. 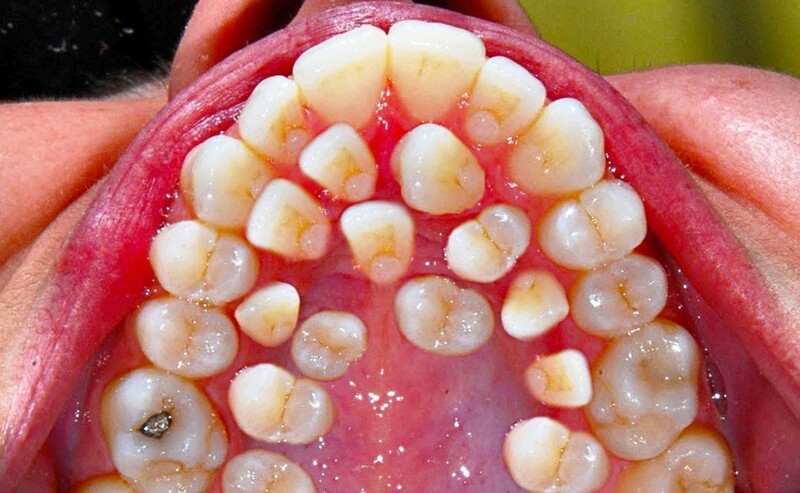 Supernumerary teeth in deciduous (baby) teeth are less common than in permanent teeth. 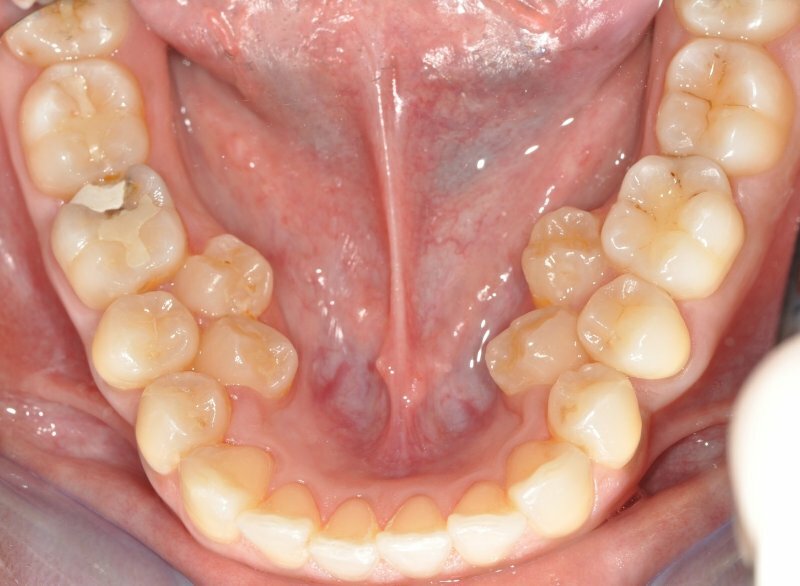 When classified by position, a supernumerary tooth may be referred to as a mesiodens, a paramolar, or a distomolar. 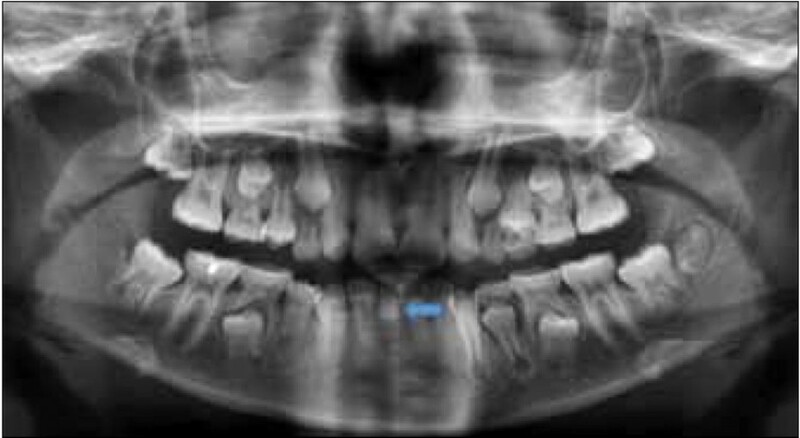 The most common supernumerary tooth is a mesiodens, which is a malformed, peg-like tooth that occurs between the maxillary central incisors. 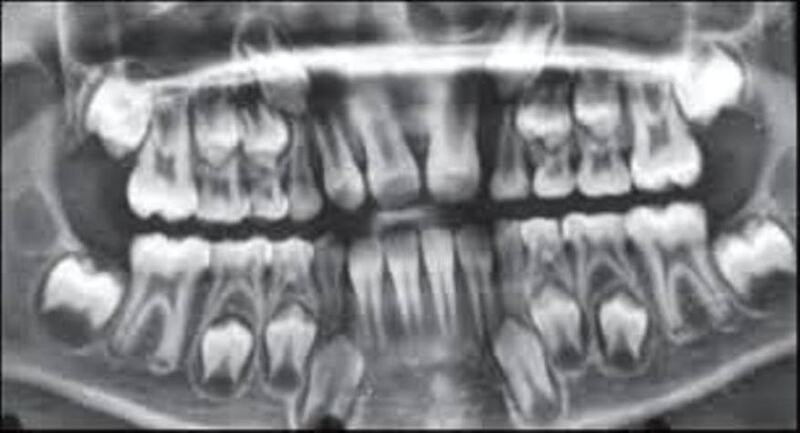 Fourth and fifth molars that form behind the third molars are another kind of supernumerary teeth.